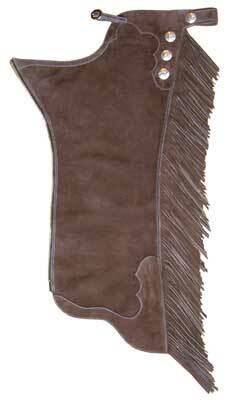 Custom Made Western Show Chaps, Chaps, Western Chaps, Leather Chaps, Show Clothing, Western World Saddlery, Caboolture, Brisbane. PLEASE EMAIL US FOR CHAP PRICES, PLEASE HAVE THE FOLLOWING INFORMATION AND WE CAN GIVE YOU OUR PRICE AND TIME FRAME. that are shown You may add accessories to these two versions that are shown. Color filigree for top yokes-black. Custom Casual Show Chap, Sand suede leather, 4-4.5 ounce. No additional options are shown. cut bottom cuff. Added accessories: Montana silver moon conchos-8pc, fringe. decorative cut bottom cuff. Added accessories: Montana silver moon conchos-8pc, fringe. This custom show chap is made from 4 to 4.5 ounce USA made black suede. It features adjustable front and backbelt. duty 3/4" brass zippers for long lasting durability. Fringe length 8". 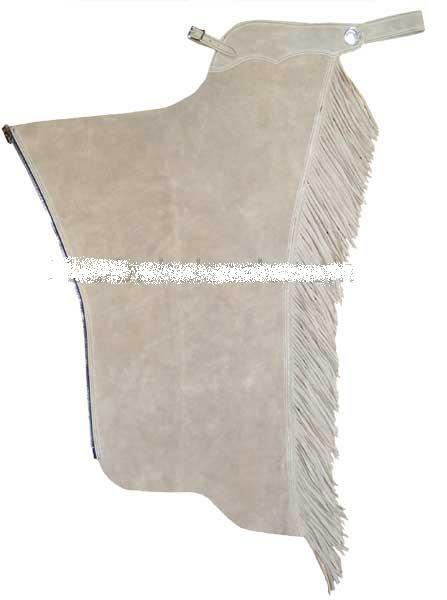 This custom show chap is made from 4 to 4.5 ounce USA made sand suede. It features adjustable front and backbelt. heavy duty 3/4" brass zippers for long lasting durability. Fringe length 8". colors and texture. 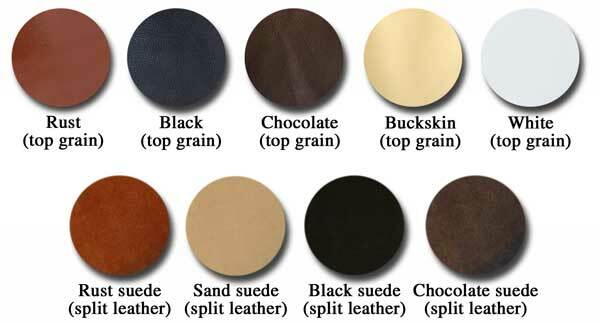 Please read below for more information on the "Earthtone" leather. 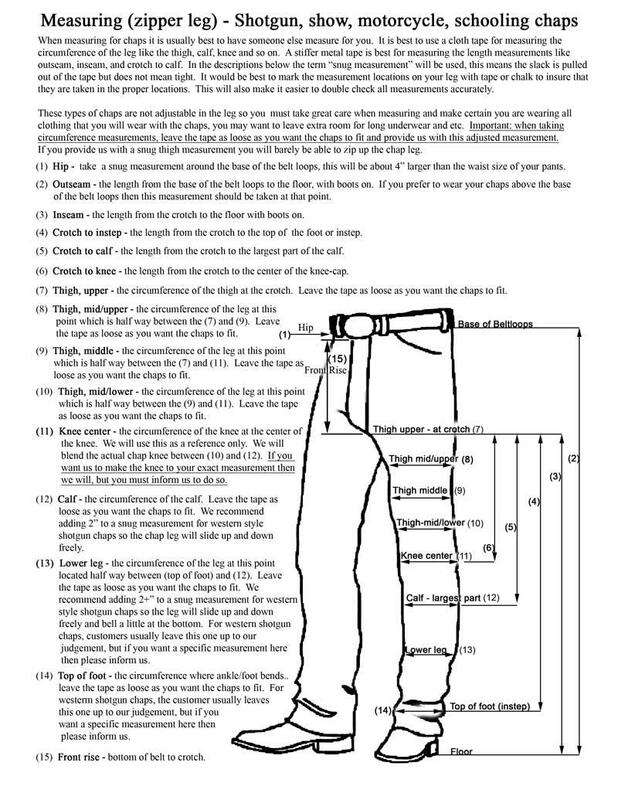 for your custom chaps will not be affected.